Welcome to the CCBCC Fundraiser! WHAT IS THIS, you ask? 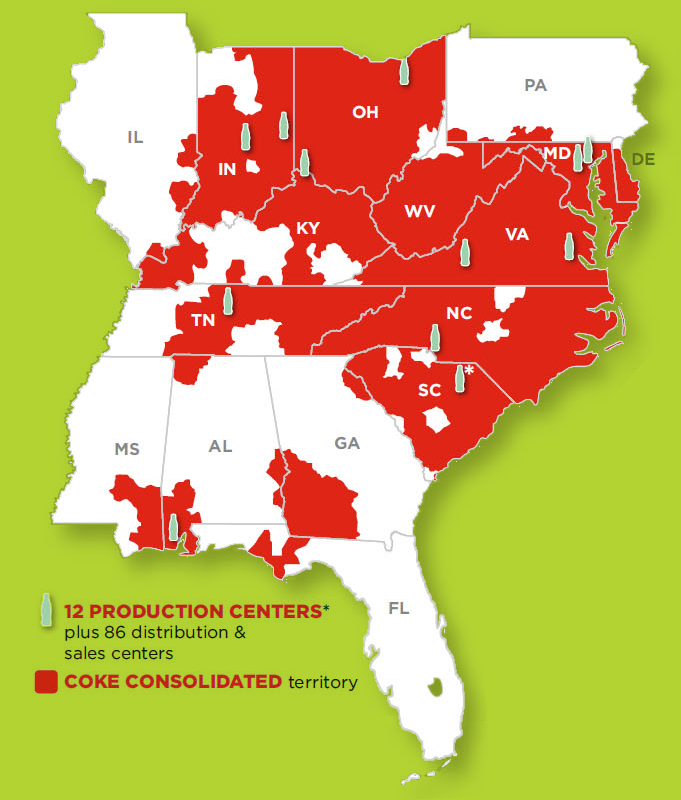 Well, Coca-Cola Bottling Company Consolidated (CCBCC), AKA the largest independent bottler in the United States has decided to opt out of delivering SURGE to stores. Are we, collectively The SURGE Movement, supposed to just sit back and let this decision stand? Heck no! CCBCC comprises a Gigantic Chunk of The Citrus Heartland! We still are not 100% sure why CCBCC dropped SURGE, but our sources actually don't indicate there was a slump in sales at all-- in fact, we've found it's quite the contrary. So then, what is it? 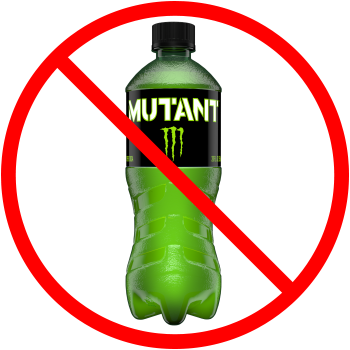 There is a high probability CCBCC has decided to focus their efforts on Monster's Mutant, a new (reportedly disgusting) green energy soda. This is a fear SURGE fans have been dreading FAR BEFORE Mutant's release. The truth is that these two, can... AND WILL co-exist (if Mutant must exist), and our fans will not be silenced. So what will this take on our parts? To begin, we need your undivided attention, followed by any pocket change you can offer to help boost our participation to the right SURGE fans. Literally whatever you can offer in this fundraiser will be spent 100% on CCBCC SURGE Revival. If you live in this territory and want to purchase SURGE in your stores, together WE CAN MAKE IT HAPPEN... BUT WE REQUIRE YOUR HELP! Every SURGE call-in day is greatly effective but to do so correctly costs our Movement a minimum of $50 due to reach limitations. That's why our SURGE Movement administration is going to cover the initial $100 out of our pockets. Anything extra we are able to raise through the Movement will help tremendously and will be carefully put toward our Facebook Advertising budget. In the targeting criteria, we will focus our efforts on the consumers who need to take action: IN, OH, VA, WV, MD, DE, KY, TN, NC, & SC. If you are outside of this territory, your support is still appreciated because if (and when) we succeed, we will be campaigning for nationwide distribution. Our pocket change is so miniature in comparison to the hundreds of thousands it will lead in CCBCC's future SURGE sales. Throughout the years, we have become extremely resourceful on the advertising front, and clearly know firsthand what can be accomplished when we work together. Likewise, we dedicate ourselves, without pay, to SURGE and will always honor your trust in us. This brand was brought back by our community and remains a community brand. It's up to us to ensure SURGE doesn't slip away. 100% of All Contributions Go Toward CCBCC SURGE Revival! Please support this effort by Calling CCBCC & Making a SURGE Product Request M-F 8-5 PM ET @ (800) 866-COKE (2653) Press "3" for Product Availability. In addition, CCBCC can also receive customer feedback on their Facebook Page and Contact Form. However, Mission #1 Remains: Win Back CCBCC SURGE Distribution! ... Next steps? Let's get this beverage NATIONWIDE where it belongs! And yeah... bottles-- we seriously need bottles... It's not a matter of "want" anymore, we're talking about "need" here. Big difference. Nationwide 20oz Bottles. Thanks to whoever at Coca-Cola that is listening! We won't let you down... that's a promise! Our goal is to not only win back SURGE Distribution in ALL of your market units, but to be able to find the product with ease. Please put even the modest amount of effort / signage / marketing into our fluorescent emerald greatness this time. We don't expect your company to make a 10 foot display while taking on several SURGE sponsored events (like Viking Coca-Cola Bottling Co. continues to do), but to simply realize that SURGE is your most profitable avenue to success in the Citrus SSD genre. Please treat it with care and the SURGE fans will do the rest. To conclude... The SURGE Movement, will not stand idly by as our precious soda is seized from the outlets we all worked SO HARD to bring it to. There is a reason SURGE is Coca-Cola's FIRST discontinued product to be revived (since their 1886 founding!) It's because SURGE is MUCH MORE than a soda brand. It’s a Lifestyle... a Taste of Nostalgia... the Elixir of Life... the Nectar of the Gods... and an American Dream for every ‘90s kid... and, of course, in every can is an incredible citrus taste. Otherwise, we wouldn't be here 20 years after its initial release. If you are a SURGE consumer in this territory, we ask that you SUPPORT THIS EFFORT! Please contribute what you are able and Call / Contact CCBCC NOW! Thank you SURGE fans, and SURGE ON!